I’ve looked at flooring from both sides now… and it’s the horrors of applying polyurethane I recall. No issues with VOCs and your family’s health. For days after applying an oil-based polyurethane, you will smell and breathe in vapors from polyurethane resins and solvents. VOCs have been shown to be carcinogenic, and some waterborne polyurethanes produce them too. Why not buy prefinished so that the curing takes place in a factory, not in your living room? No worries about dust. 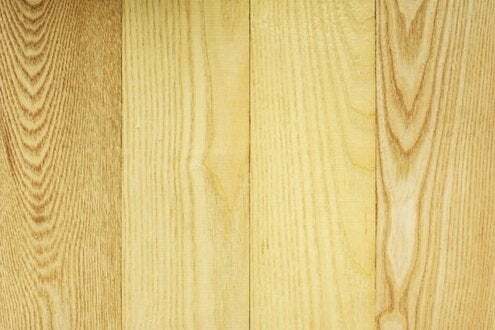 Dust and errant hairs are the enemy of on-site floor finishing, but these annoyances won’t have any effect on your new prefinished flooring. You will, however, need to take measures to protect prefinished floors if you have contractors tromping around with tools and equipment en route to other jobs around the house. Installation in one session. There’s no necessity of staying home to complete the various stages of an on-site finishing job—sanding, sealing, staining, applying polyurethane and so on. 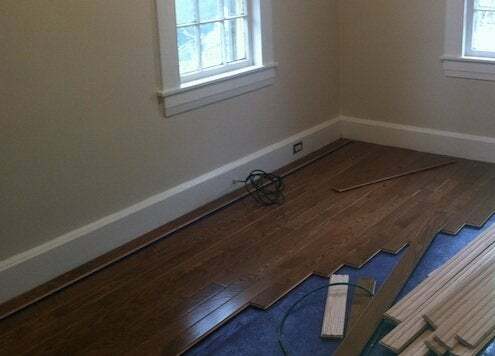 A crew of two had our 300-square-foot solid wood floor installed, with underlayment, in only about two hours. A better finish than what homeowners or contractors can apply on-site. Factory-applied finishes are incredibly durable and often come with a lifetime warranty. The Mullican red oak flooring, shown above, will stay new-looking for longer. It came with a PPG UV-cured resin and nanoparticle coating that is highly scratch- and abrasion-resistant. I can’t even scratch it with my fingernails. Lower cost. Prefinished solid wood floors initially cost more than unfinished wood flooring—about $2 per square foot for a good grade of red oak. But once you factor in finishing costs, prefinished ends up being less expensive. New construction or large renovations. Many contractors prefer to wait until the end of the job to finish the floor. That way, a dropped tool or a mortar pebble under a work boot can’t mar the finished floor—and ruin customer relations. Greater choice of finishes. There is no question that the site-finished route opens up a greater variety of choices with respect to color and shade. Prefinished products, however, come in more species and stains than ever before. No bevels. 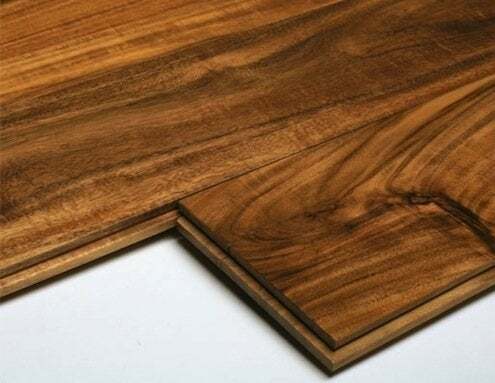 Prefinished floorboards usually have micro-bevels on all edges. These bevels hide slight discrepancies between board depths and widths. Inevitably, some homeowners will prefer the flush look of site-sanded floors, as they feature no such grooves and can be finished to a mirror-like surface. What’s your preference? Perhaps the hassles of site-finishing will be worth it to you—for one or all of the reasons above. But for homeowners like me, prefinished floors are the future.